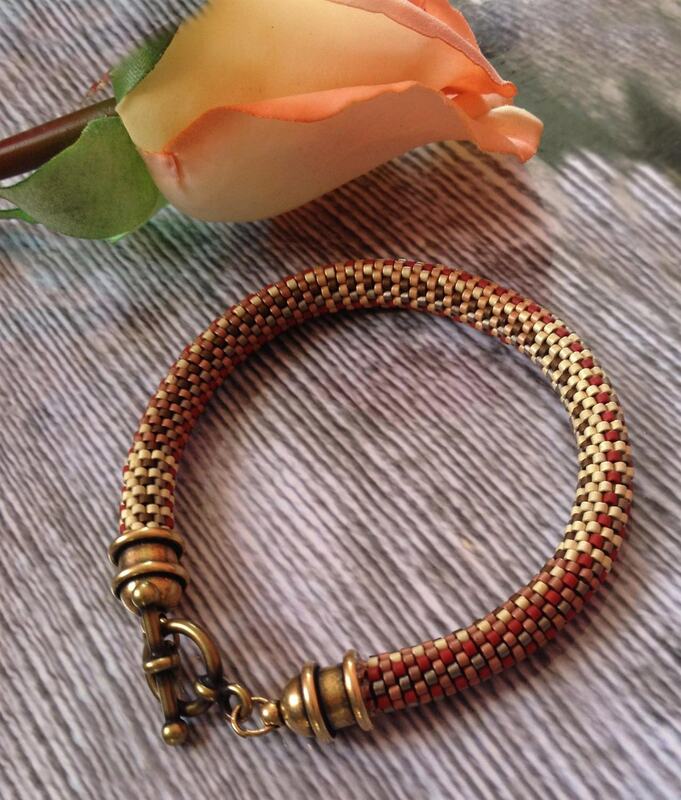 Handmade Bracelet is Delicate and is a one of a kind Architectural Weave Design. Part of my Designer Series Bead Crochet Jewelry. 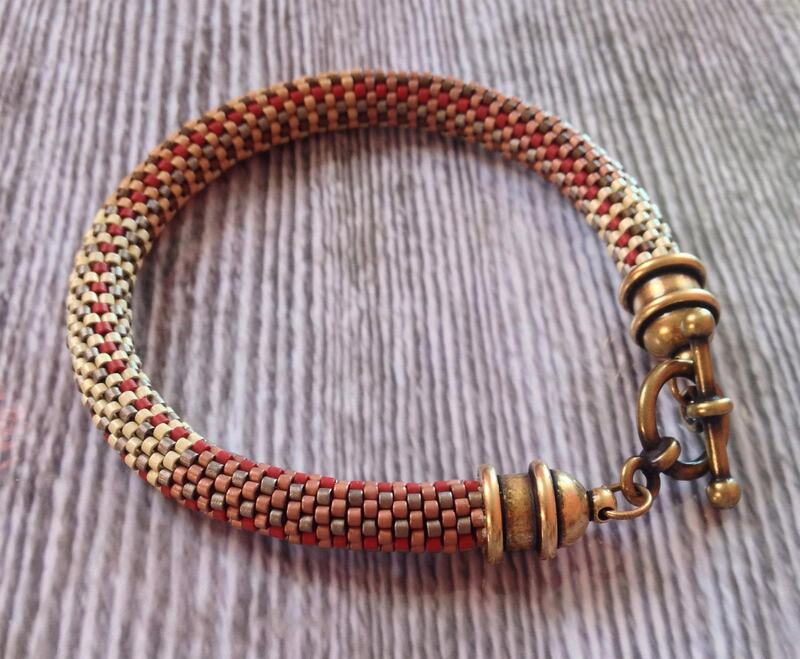 This bracelet is inspired by yarn weaving and architectural elements and made with high quality cylinder Japanese seed beads in copper, cream, gray and brick colorway. Pictures show different sections and colors of the finished piece. Makes the perfect, exceptional gift for yourself or others. 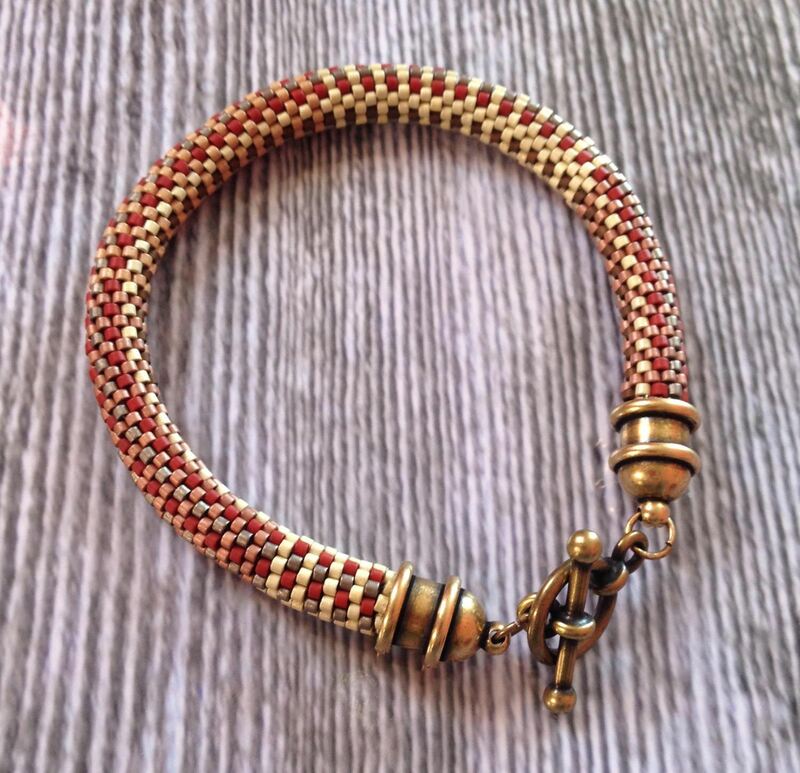 Bracelet is handmade to your size and closes with a high quality cast toggle closure. Bead Crochet bracelets are soft next to your skin and generally will not catch on your clothing, and hang very slightly between the closure and your wrist. Sent to you in a gift box. If you are concerned about your wrist size or the pieces fitting, please convo me.